While checking out different home remodeling trends online, you’ve probably encountered terms like full bath, half-bath, bathroom and powder room. You know what the bathroom is, but what do the rest of these terms mean? 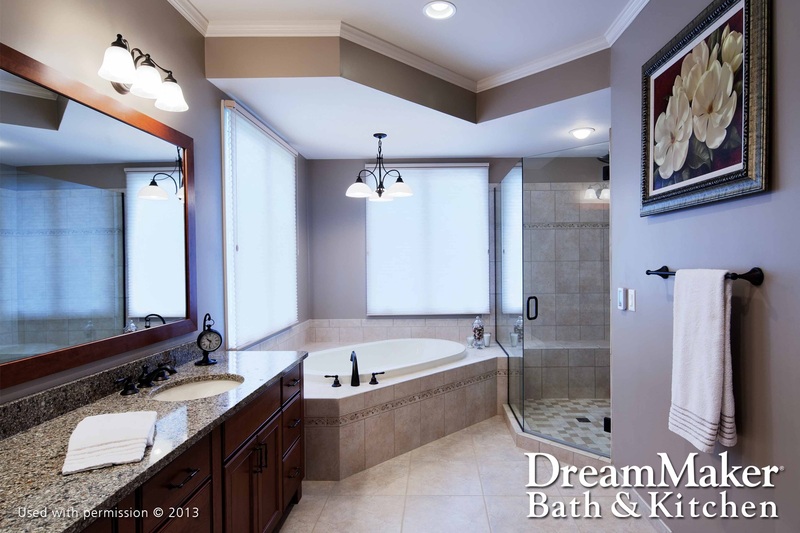 Here DreamMaker Bath & Kitchen®, one of the premier bathroom remodeling contractors in the region, explains the difference between these rooms and the value they can bring to your home. A powder room, also known as a half-bath or guest bath, has only two of the four main features of a full bathroom: usually a toilet and a sink. Generally located on the main level of a house, the powder room can be used by guests who come by to visit for a few hours or by those who don’t want to go all the way upstairs to use the bathroom. If you’re planning to add a powder room to your home, we can help you design this space. Aside from the standard toilet and sink, we can also install other features, such as a custom vanity, mirror, cabinets and lighting. Yes, the bathroom is also called the full bath, as it comes with four key bath fixtures: a toilet, sink, bathtub and shower. According to a survey conducted by the National Association of Home Builders, a full bath off the master bedroom is one of the most desired features by today’s homeowners. When you choose to work with our team on full bathroom remodeling, we can upgrade this space by adding more functional features, including a linen closet, makeup station, bidet, shower seat, double sink and more. Whether you want a new powder room, full bathroom or simply want to remodel these rooms, DreamMaker Bath & Kitchen of Central Ohio is here for you. We’ll recommend the best bathroom upgrade ideas to help you enjoy your home more. Contact us at (801) 203-3307 or via our online form today to start a conversation!